Now that the public has made it apparent that EBooks aren’t going anywhere and companies have really begun to create EBook content, it’s time for businesses to ask themselves that all too common question: What about optimization? Amazon Kindle Direct Publishing. All you have to do is upload your EBook and you’ll get 70 percent of what you make. It’s as simple as that (and you’re already on Amazon, which isn’t a big deal). Barnes and Noble. Once again, all you have to do is upload. 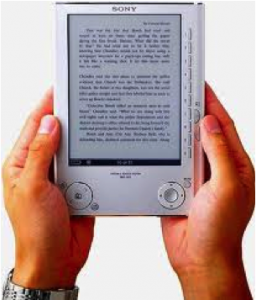 Your EBook will go straight to Nook and hopefully get you in front of the eyes of your target audience. Lulu. This is a creative agency that will walk you through the steps of publishing and promoting your EBook. Once you publish your EBook, it’s time for optimization. This differs from normal content optimization because you’re not really optimizing your EBook for Google, but rather optimizing it for users. Most people would tell you that you can’t optimize an EBook, but it’s simply the fact that the definition is a bit different. For those who have always wondered—there is no Meta Data that you need to worry about when you’re working with EBook content. However, if you’re going to put your EBook online in the hopes that people will find this EBook, you are back to your old content optimization ways. When it comes to giving your EBook some buzz, you will want to focus on social media. Make sure that your audience (every audience) knows that you have put out an EBook. Give readers a sneak peak and make sure that you advertise the price of the book if it’s not too pricey. How do you make sure that your EBook is optimized for the web? Do you have any tips for those looking to get started? Let us know your thoughts in the comments below. Amanda DiSilvestro gives small business and entrepreneurs SEO advice ranging from keyword density to recovering from Panda and Penguin updates. She writes for HigherVisibility SEO, a nationally recognized SEO consulting firm that offers online marketing services to a wide range of companies across the country. Connect with Higher Visibility on Google+ and Twitter to learn more! I didn’t realize getting an E book online was so easy. The harder part will be getting it popular of course but its worth the hard work. Thanks for the info. Mmmmm. I just got a kindle and I hate to say it but yes it is nice to have a book downloaded to you if you can’t find it at the bookstore and you don’t have to wait to order it. And from what I’m hearing, all the books one day will be on e readers.